•Mango fruit is an excellent source of Vitamin-A and flavonoids like beta-carotene, alpha-carotene, and beta-cryptoxanthin. Together, these compounds have been known to have antioxidant properties and are essential for vision. Vitamin A is also required for maintaining healthy muscles and skin. Consumption of natural fruits rich in carotenes is known to protect from lung and oral cavity cancers. •Fresh mango is a good source of potassium. Potassium is an important component of cell and body fluids that helps controlling heart rate and blood pressure. •The high levels of fibre, pectin and vitamin C help to lower serum cholesterol levels. •It can be used both internally and externally for the skin. Mangos clear clogged pores and eliminate pimples. •The tartaric acid, malic acid, and a trace of citric acid found in the fruit help to maintain the alkali reserve of the body. •Mango leaves help normalize insulin levels in the blood. The traditional home remedy involves boiling leaves in water, soaking through the night and then consuming the filtered decoction in the morning. 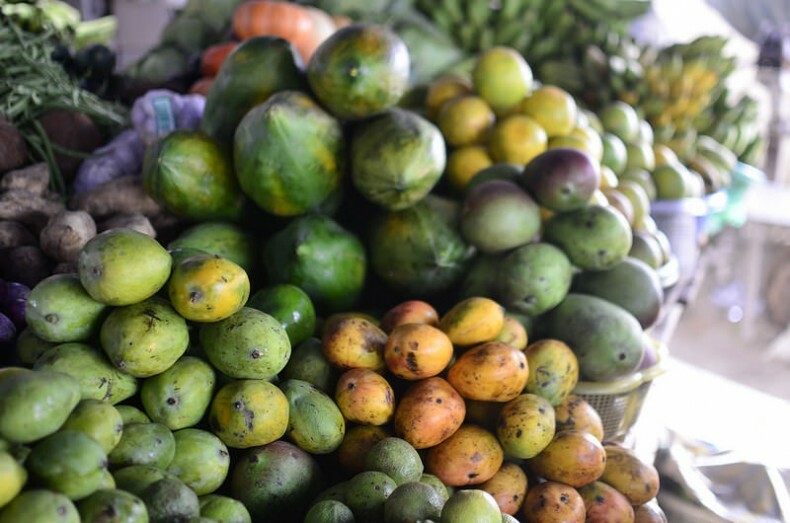 •Mangoes contain 25 varieties of carotenoids and they are enriched with a high amount of Vitamin C as well which helps maintain a healthy immune system. •Mangoes are rich in folate or folic acid which helps in improving fertility. Folic acid deficiency can cause miscarriage in women. really easy to make some much-needed further cash.